The L1800 is the world’s first A3+ 6-colour original ink tank system printer, giving you the ability to produce borderless, photo quality prints at ultra low running costs. When it comes to sharing high impact visuals on a larger scale, the L1800 is the solution you’ve been waiting for. Designed for continuous printing performance, Epson’s renowned Micro Piezo™ printhead is not only highly reliable in operation, it also delivers an astoundingly high resolution of 5760dpi. Paired with the expanded colour gamut of 6 photo inks, the L1800 delivers superior colour, gradation and photographic tones in every printout. 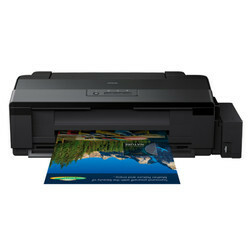 The L1800 is designed to achieve fast print speeds of up to 15ppm (draft/black) and 45 sec per 4R borderless photo. The L1800 supports printing to a wide variety of printing media from 4R photo prints all the way up to A3+ sizes, allowing you to accomplish all your printing jobs, from the simplest to the most demanding. Enjoy warranty coverage of 1 year or 30,000 prints, whichever comes first, for maximum value from your printer and freedom from maintenance worries. Epson’s original ink tank system is engineered for easy, mess-free refills. The special tubes in the printer are designed to ensure smooth and reliable ink flow at all times. 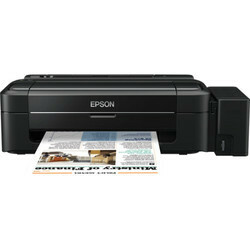 With Epson Stylus®Photo T60, you can print quality photos in an instant. Print instantly from your computer screen at the fast print speed of 12 seconds per 4R photo. 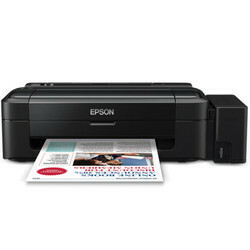 Epson understands the need to reduce printing costs. With 6 separate colour cartridges, you only need to replace what you use. 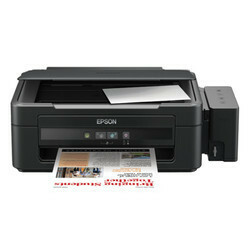 Furthermore, Epson 6 colour photo ink is highly affordable, keeping your daily running costs low. 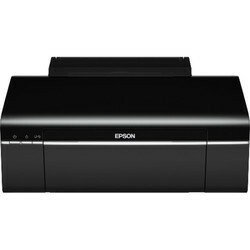 Ideal for photo printing, the L800 is Epson's first integrated ink tank system that lets you enjoy high-quality photo prints at an ultra-low cost. With the ultra-high-capacity ink tank and high-volume ink bottles for easy refills, this model will print photos effortlessly. A set of six individual 70ml Epson ink bottles are included – black, cyan, magenta, yellow, light cyan and light magenta – giving you great value for money. Each set of high-capacity ink bottles can print up to 1,800 high quality 10 x 15cm photos, delivering an ultra-low cost per photo1. The L800 is equipped with Epson’s Micro Piezo printhead technology that delivers unrivalled durability, quality and reliability. The high-capacity ink tank is fully integrated into the printer, so you can enjoy reliable colour printing without the mess or hassle of other ink tank systems. Using Epson genuine ink gives you the quality you demand from your printing and each ink bottle has a re-sealable cap for storage when not in use. With Epson’s warranty, you can rest assured that you'll get maximum value, reliability and peace of mind from your printer. You can print vibrant, life-like colours with long-lasting results with the L800 and produce borderless photos up to A4 size. Creating personalised digital photo albums can easily be achieved by printing directly onto CDs/DVDs and, with fast print speeds, you can produce a 10 x 15cm photo in as little as 12 seconds2.